Home » Global » Yemeni protest targets Saudi Arabia, U.S.
Yemeni protest targets Saudi Arabia, U.S.
Yemeni people attend a rally marking first anniversary of Saudi Arabia’s war of aggression against the country in the capital, Sana’a, March 26. 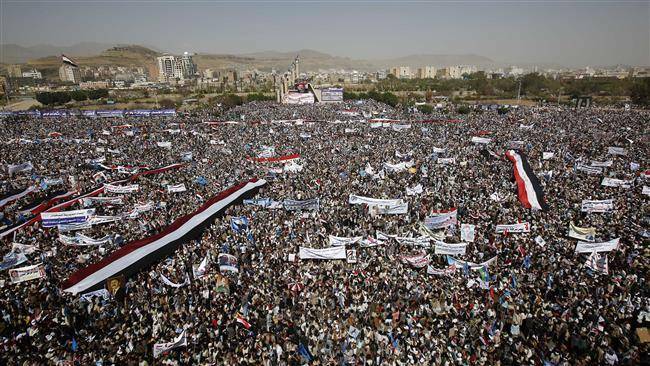 Hundreds of thousands of people marched in Sana’a, the capital of Yemen, on March 26 to protest the U.S.-armed Saudi monarchy’s year-long war against their country. In New York City, members of the U.S. Yemeni community and supporters gathered several hundred strong outside the United Nations the same day to show solidarity with the embattled homeland. Protesters marched from there to the Saudi embassy. Yemeni activists Walid Fidama and Nabil Al Jomael addressed the rally, and Syrian poet Rana Nasrallah read a powerful poem of support for the Yemeni people. The statement said that Yemen, home to one of the world’s oldest civilizations, is “being subjected to destruction and demolition and the people of Yemen are subjected to massacres, collective punishment and genocide by the Saudis, their coalition, their ISIS and Al Qaeda.” It pointed out that the Saudi claim of Iranian intervention in Yemen is a lie and that the Saudis are trying to overthrow Yemen’s elected democratic government. Members of the International Action Center brought signs denouncing the U.S. role in the Saudi kingdom’s genocidal war. 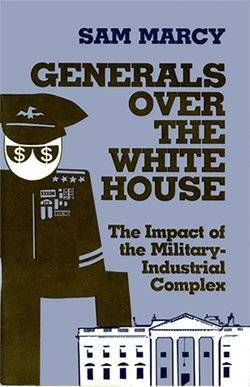 Speaking for the United National Antiwar Committee, Bill Dores said that the Saudi war against Yemen is as much a U.S. war as was Bush’s invasion of Iraq.